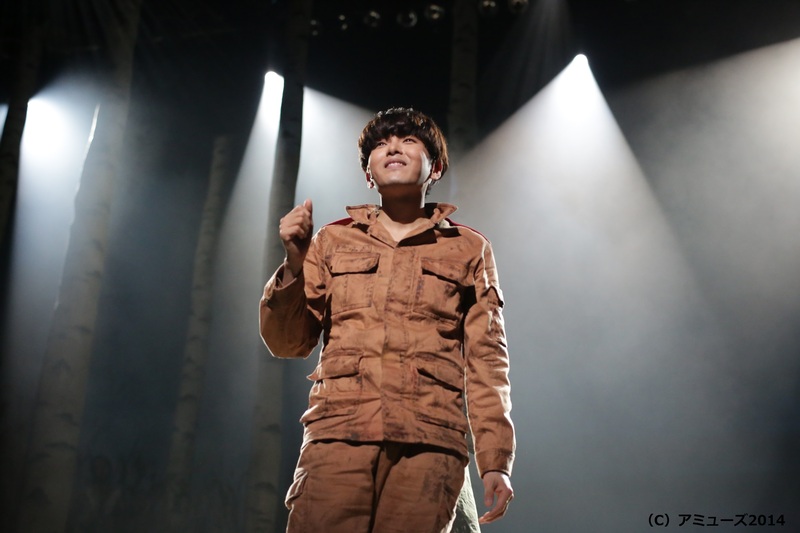 Fans of Ryeowook sent a total of 3.86 tons of rice wreaths to congratulate him for his musical Temptation of Wolves, which started its run on July 14, 2011. On Oct 18, 2011, the rice collected was, on Ryeowook’s request, delivered to the elderly in four ‘dong’ (neighbourhoods) in Gwanak-gu (Gwanak district). They are: 1.36 tons to Haengun-dong; 1.2 tons to Nakseongdae-dong; 800kg to Inheon-dong; and 500kg to Jungang-dong. The wreaths were sent by fans from 10 countries, including Korea, China, Japan, Singapore and New Zealand. 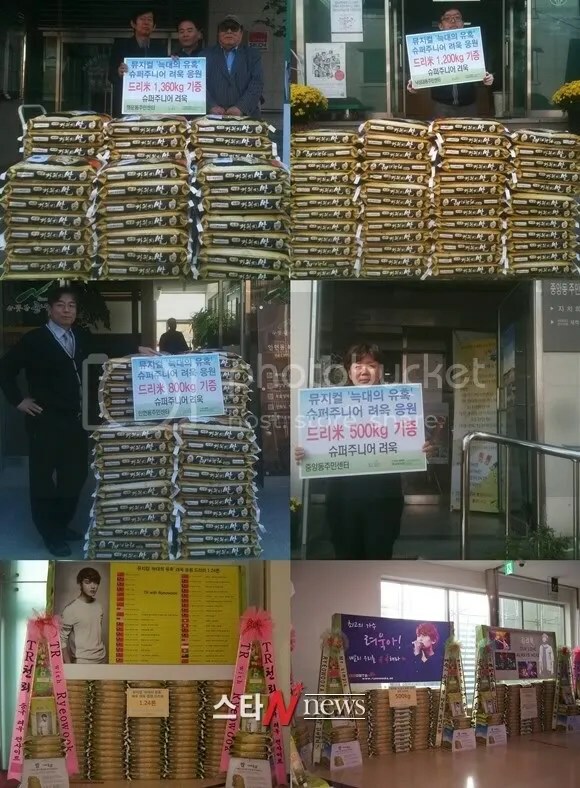 Including those for other actors, a total of 5 tons of rice wreaths were donated for the Temptation of Wolves musical. Credit love-ryeowook.net if taking out. DO NOT add yourself to the credits.